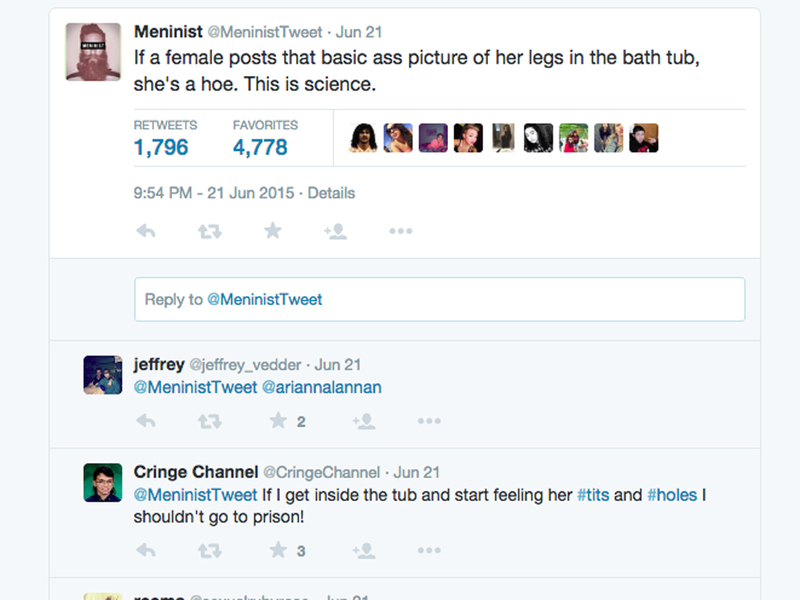 So What Exactly Is Meninism And Why Are Women Becoming Meninists? Anti-feminist women are taking on gender equality in their own way... meninism. ‘Feminist. A woman who believes in the social, political and economic equality of the sexes,’ the epic author Chimamanda Ngozi Adichie once stated to a resounding ‘hell yeah’ from Beyoncé, Taylor Swift and the rest of womankind. But not all of womankind, it seems, as a new wave of anti-feminists, called ‘meninists’ are now gathering force online… and women are among the supporters. 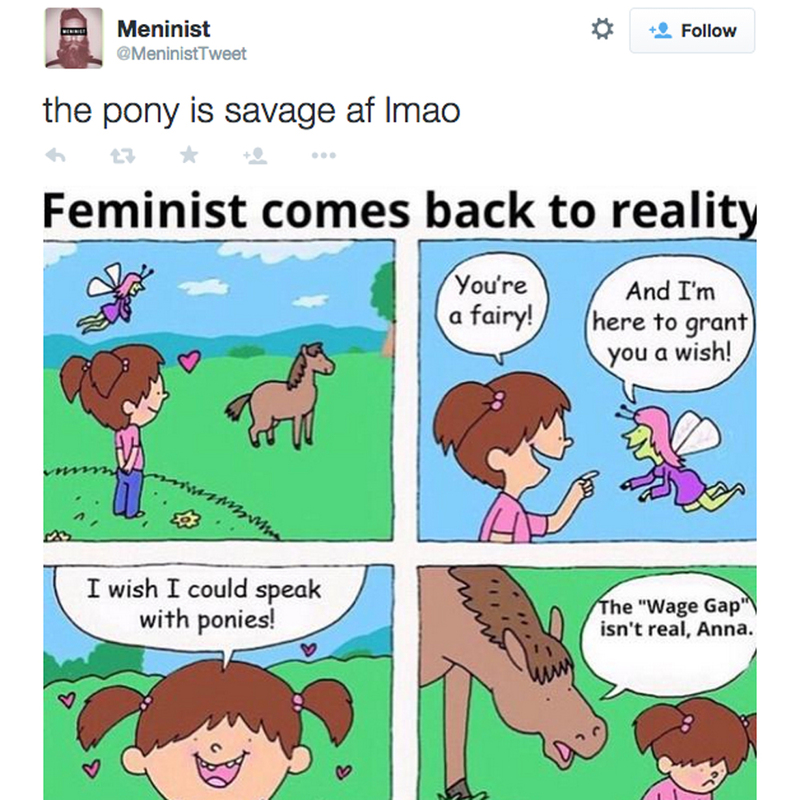 A number of meninist social media accounts have been set up to mock feminism and while all, they say, are just parodies and Tumblr-lolz, we can’t help but think that a lot of the posts are just sexist men mocking women? Interesting. So in disapproving of meninism and the jokes posted, are we then denying these men the equal opportunity to express their views on feminism? Let’s take a look at some example posts from the biggest account, @MeninistTweet, which has an alarmingly huge following of 916,000 people. The comments ‘fans’ leave underneath are equally worrying. 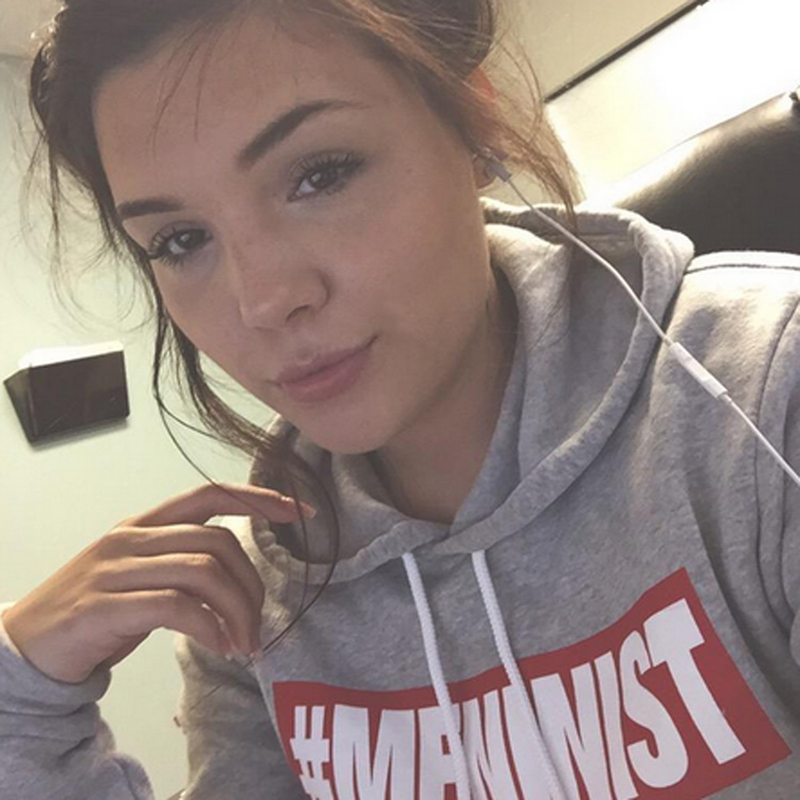 The ‘LadyMeninists’ blog also features a number of pictures of women who support these ideas to the point where they’ve bought T-shirts… or at least borrowed their boyfriend’s. Emma Watson’s #HeForShe campaign has seen dozens of high profile blokes from Hugh Jackman to Harry Styles use their voices to drive positive change and raise awareness of women’s rights – so what’s motivating guys to become meninists, let alone girls? Real feminists are actively fighting for true gender equality around the world (that’s like-for-like pay, equal career opportunities and an end to dominance, violence and prejudice of all kinds) and we can’t help but wonder why anyone wouldn’t want those things, or would mock the people who do? What do you think of the meninism movement? Are you a female meninist? Tell us what you think on Twitter @MarieClaireUK and we’ll add your comments to our debate.